Swiggy has announced its on-demand goods delivery service, Swiggy Stores, in India. The service will deliver products from offline stores to consumers’ doorsteps, just like Swiggy’s food orders. The company claims it will deliver the products within an hour and can be from across categories like fruits and vegetables, kiranas and supermarkets, florists, baby care, health and supplements, pet care stores, and meat stores. Notably, the service will be part of Swiggy’s existing mobile app. 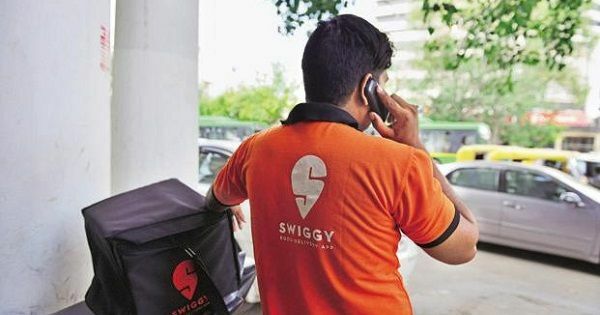 With Swiggy Stores, the company will be taking on the likes of Amazon Prime and Big Basket in the grocery delivery market. To counter their dominance, Swiggy will expand its delivery fleet of 1.25 lakh chains to make product deliveries. The service is currently being tested in Gurugram, Haryana and the company has said it will offer products from more than 3,500 stores, including the prominent names such as Le Marche, Needs Supermarket, Licious, Zappfresh, MomsCo, Apollo and Guardian Pharmacy. “Today’s announcement takes Swiggy to categories beyond food, where we hope to deliver the same level of delightful experiences to consumers for their everyday needs. It is the first milestone in Swiggy’s vision to elevate the quality of life for the urban consumer by offering unparalleled convenience,” said Swiggy CEO Sriharsha Majety. With the launch of Swiggy Stores, the company aims to be a one-stop delivery service to millions of consumers who buy online. Once the service is rolled out pan-India, Swiggy’s delivery volume – currently at 28 million orders per month – is likely to get a boost. This may also give Google-backed Dunzo a run for its money.